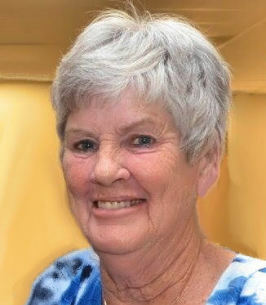 GLENBURN - Jacqueline “Jackie” (Knowles) Ellingwood, 70, died peacefully November 15, 2018 at a Bangor hospital following a brief illness. She was born March 21, 1948 in Bangor, daughter of Bertrand C. and June E. (Mower) Knowles. Jackie was a graduate of East Corinth Academy and D’Lor Beauty School, Brewer. She was a self-employed beautician at Westgate Beauty Salon and JB Hair Fashions. In more recent years, she was employed in food service by the Bangor School Department. Jackie will be remembered for her love of family, flower gardening, and quilting. Jackie is survived by her husband, Ralph I. Ellingwood; two daughters, Tracy L. Ellingwood, Tanya M. Baker and her husband, Christopher, and two special grandsons, Ryan and Andrew, all of Glenburn; five sisters, Marie Richardson of Levant, Margaret Murray of Bangor, June Wilson, Judy Brawn, and Julia Bean, all of Glenburn; three brothers, Merton Knowles of Bangor, Milton Knowles of Levant and Norris Knowles of Florida; several nieces and nephews. In addition to her parents, she was predeceased by two sisters, Mildred and Muriel; two brothers, Maurice and Melvin. The family invites relatives and friends to share in conversation and refreshments at the Family Reception Center of Brookings-Smith, 163 Center Street, Bangor 12 noon to 2pm, Tuesday, November 20, 2018 followed by a graveside service at the Lakeview Cemetery, Glenburn. Condolences to the family may be expressed at BrookingsSmith.com. We encourage you to share any memorable photos or stories about Jacqueline. All tributes placed on and purchased through this memorial website will remain on in perpetuity for future generations. Uncle Ralph, Tanya and Tracy- I wish I could make the pain go away or a little easier, but I can't. Just know you guys are in our thoughts and prayers and we love you all very much. Uncle Ralph, Tracy and Tanya, I am so sorry for your loss. I feel your pain and sadness. Aunt Jackie will always be loved and have a special place in my heart. Jackie was one of my students at Twin City Beauty School and also a friend, we shared some adventures with the others in her class , one night at Lucerne Lake when the cops came and we met them on the cosway going in the other direction many laughs. Jackie had a great sense of humor and one of the most beautiful smiles. Rest in Peace dear girl. Ralph so very sorry for your loss. so sorry for the whole family's loss. She was a wonderful lady always smiling and very kind. She will be missed by many. Ralph, Tracy and Tanya-our deepest sympathy to you all, my heart is breaking for you. I have lots of great memories of our families being together on many occasions and Jackie being so happy and treating all of us kids like family.May all your memories get you through this trying time. Love to you all.